That’s sort of true, but even change changes. The speed of change, the amount of change and the types of change we experience in the world and in our individual lives are changing. For the most part life has been fairly constant for a pretty good stretch of time. I’ve been at the same job (leading OurChurch.Com) for the last 18 years, married to Jennifer for almost 17 years, a part of Cypress Meadows Meadows Community Church for 17 years, living in the same house for the last 13 years, and raising the same 3 children for the last 8 years. I even had the same (no) hair style and long goatee for about 7 years. I wasn’t pursuing consistency in the past nor am I pursuing change for its own sake now. I believe in embracing the moment and making the most of where God has us now, but also listening closely and moving forward boldly when God leads us towards change and new adventures. If we really want to experience all that God and life have to offer, we have to embrace change and pursue it. I’m not talking about an endless pursuit of the thrill of another new experience – a new car, the latest gadget, an exciting trip, a new girlfriend, etc. But the fact is there is no growth without change. There is no progress without change. You may have noticed I haven’t blogged very much in recent months, that’s about to change too. 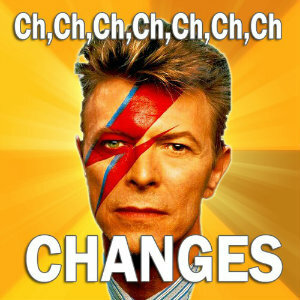 Over the next few weeks I’m going to blog about some of these changes. Maybe we can learn to embrace change better together. 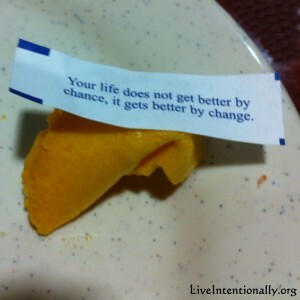 What kinds of changes are you experiencing in your life? How are you handling it? Are you resisting a change you know you need to make to move forward? One thing I know for sure is it’s much easier to navigate change when friends are along side you, encouraging you, and available for a word of advice. P.S. In case you missed it, change #1… the goatee is gone.